Tenda Premium Medicated Poultice is scientifically formulated to assist every equine athlete in achieving their maximum potential. 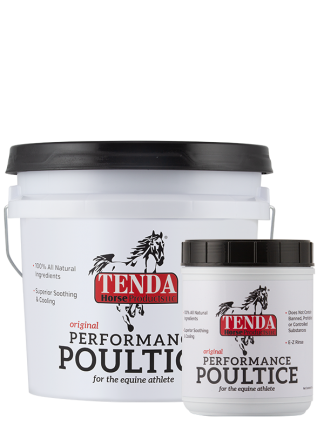 The smooth and soothing Tenda Horse Premium Medicated Poultice is mild, effortless to apply, extremely easy to wash off, and will not burn or blister. 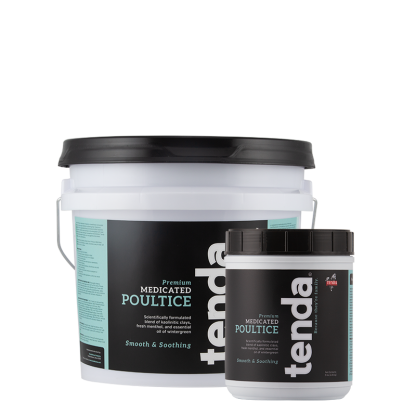 Tenda Premium Medicated Poultice can be applied to the knees, fetlocks, shins, and tendons. EVERYDAY USE: Thoroughly cleanse affected area. Liberally apply about 1/8” to 1/4” thick of Tenda Premium Medicated Poultice to the affected area. Cover with a layer of paper, then cover paper with a quilted wrap. Lastly, cover quilted wrap with a stall bandage. After 24 hours, remove coverings and rinse off poultice with cold water. Repeat as necessary. COLD POULTICE TREATMENT: Tired of using ice tubs and leg soakers? Try our cold poultice treatment. 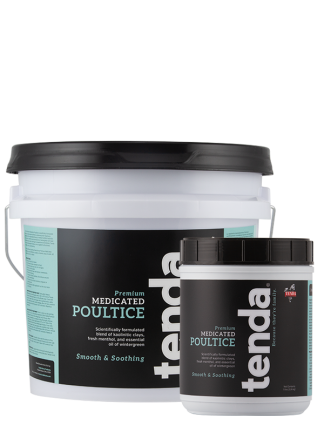 Store Tenda Premium Medicated Poultice in the refrigerator for 24 hours. After training, competition, or pleasure riding thoroughly cleanse affected area. 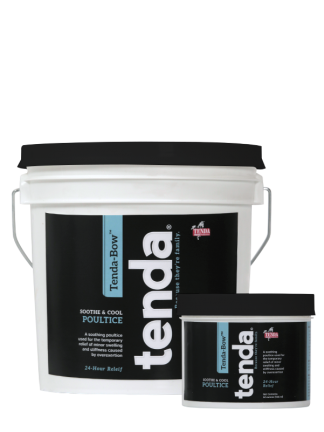 Liberally apply about 1/8” to 1/4” thick of the refrigerated Tenda Premium Medicated Poultice. Cover with a layer of paper, then cover paper with a quilted wrap. Lastly, cover quilted wrap with a stall bandage. After 24 hours, remove coverings and rinse off poultice with cold water. Repeat as necessary. HOOF PACKING: Thoroughly clean under the bottom of the hoof. 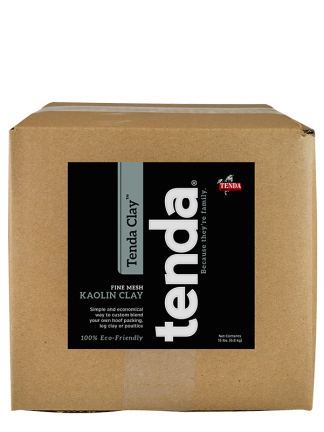 Apply Tenda Premium Medicated Poultice and cover with heavy duty paper. Secure paper in place with a wrap or hoof boot.